Filipino foods are often a blend of sour (asim), salty (alat) and sweet (tamis) flavors for a unique mouthwatering mix. 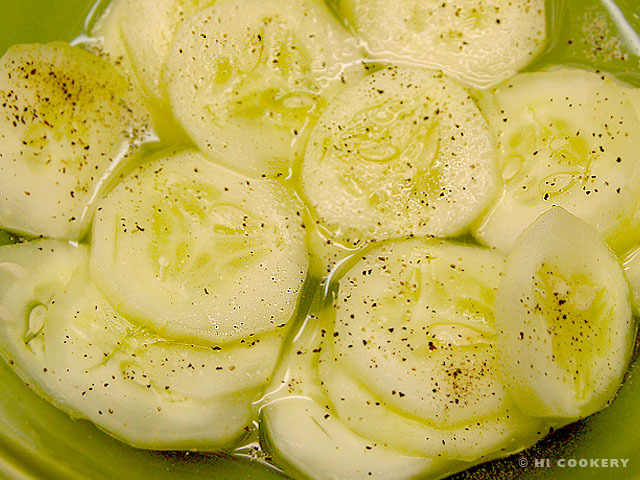 Suka pipino (vinegar cucumbers) is an example of a Filipino-style side salad that has the cultural cuisine characteristic of “sour-salty-sweet” ingredients all in one. Islander’s Mommy sometimes served suka pipino for her family. The simple yet very vinegary cucumbers balanced the soy sauce-marinated meat dishes that she also made for our mealtimes. Savor some suka and pucker up with pipino and make vinegar cucumbers as a Filipino-style side salad on National Vinegar Day. Wash, pare and slice the cucumber. In a small bowl, combine the vinegar with the sugar. 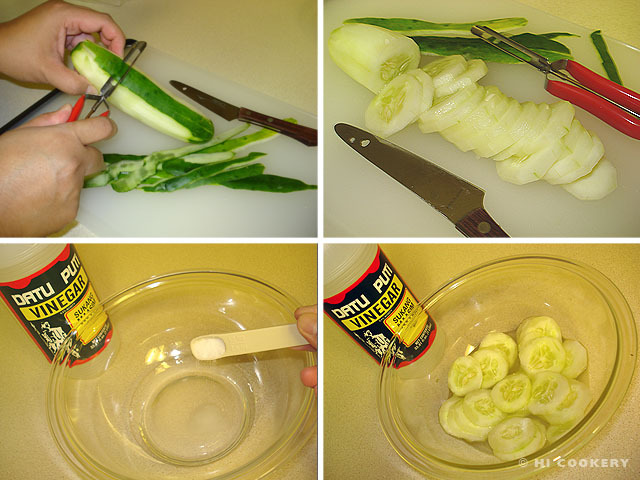 Mix in the sliced cucumbers. Salt and pepper to taste. Serve as a side salad. Apple cider vinegar may be used in this recipe instead of sugar cane vinegar. Clear vinegar also is fine.